We’ve previously talked about some of the travel digital marketing trends in 2018, but the travel landscape is changing and there’s more than ever to think about when it comes to planning and implementing the perfect travel marketing campaign and attracting the right customers. Although 84% of holiday bookings are made online, there has been little change in this figure over the past three years and the number of online bookings has flattened, questioning the future for online bookings. In 2018, online bookings using mobile increased by 9% to 18%, tablet bookings also increased to 15%. In 2018, 39% of millennials used a smart phone to book their last holiday online which is a 22% increase from 2017. The older generation of travellers do not fit within this trend- as only 2% of over 45’s stated that they booked their last holiday on a smart phone. The trend towards larger, full-screen mobile display is helping to drive more bookings through mobile, especially now more travel brands haver optimised their site and have launched their own apps. Research has also found that bookings made on smartphones are more likely to be shorter breaks, with 47% of those who book travel experiences on smartphones booking a shorter break, whereas 36% of consumers book a longer holiday. Under 45’s appear to be the heaviest users of mobile, and Mintel’s research has found that this age group are more likely to take shorter, more frequent breaks, particularly overseas. Despite there being a dominance in online booking of travel, it is apparent that there is a counter-trend which sees holiday booking moving back to offline channels. Within an ever changing and growing digital world, many consumers are starting to appreciate the value of human interaction and is now becoming a prevailing trend within the travel industry. Longer holidays are more likely to be booked offline. 25% of people who booked a longer holiday (4 nights plus) did so either in store or via telephone. With increased inflation rates and uncertainty of holiday prices in the near future, consumers are appearing to remain cautious when it comes to their spending on a holiday. Despite financial uncertainty, there is still a large demand for holidays, but cost-cutting strategies are becoming more important to millennial consumers than ever before. 79% of consumers under the age of 45 state that they like to make the most of the best deals by booking their holiday well in advance. This compares to only 65% of over 45’s, who appear to be less interested in deals available for early booking. 73% of under 45’s also stated that they spend more time looking for holiday destinations where their money can go further; for example, with cheaper exchange rates. Younger travel consumers are always looking for ways to make their travel experiences more affordable, so brands should consider how they are appealing to certain demographics and should consider using flash sales, special promotions or flexible payment plans. 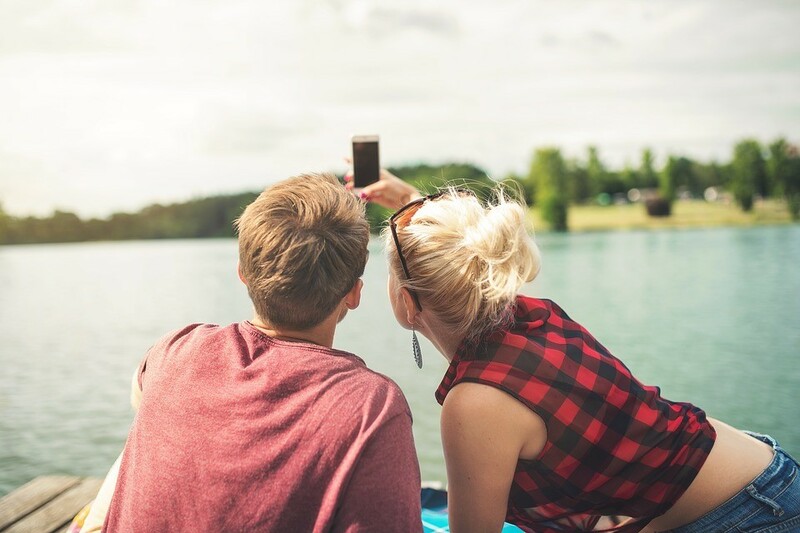 The power of the selfie has become a growing trend within the travel market, with 46% of holiday makers and a huge 67% of millennials stating that they have felt inspired to visit a certain destination after seeing a photo posted on social media by friends or family. 64% of millennials state they post about their holiday on social media. The ‘Instagrammable’ holiday has been a hot topic in the past few years, with many travel brands wanting to portray their travel experiences as the best out there. Travel brands are even going to the extent to teach their customers on taking the best photos, such as Virgin Limited Edition who have trained its staff at the Ulusaba Private Game Reserve to help guests spot wildlife and take expert pictures on safari. You can find out more about how we use these trends in our digital marketing & travel services here, or you can contact our team directly if you want to have a chat about it.